…just another day at the office! To be a “World Famous Samson Personal Trainer” you have to have the knowledge, motivational skills, personality, years of experience, passion, love, and confidence in yourself to guide clients on their journey to improve their health, fitness, and physique. We all have needed someone at sometime to help guide us on our journeys. Where ever or what ever that journey was. My journey to become a personal trainer began when I was about nine years old. I learned the “CAN DO” attitude and never looked back. My special person, besides my parents, who taught me the positive way and gave me the confidence in myself to strive to be the best I could be, was Coach Hecstrum. He was my elementary school physical education teacher. Coach Hecstrum asked me to join the school’s track team as a long distance runner. He assured me I could do it even though I had no experience running track. The team trained hard and had a lot of success. I thank him for believing in me. These first competitive athletic experiences lead to an interest in soccer. I fell in love with the game. I began practicing and training to become the best player I could be. For me, the training (the journey) seemed like it was going to be long and hard because soccer is about what you can do with your feet. I had two left feet. It did not matter. I was determined to become a great player and dedicated my time and energy to my training. Most people thought I was odd because I always had my soccer ball with me where ever I went. Around the age of thirteen, I created a training facility in my backyard. I made hurdles out of antennae rods, to jump over, and ran through tires. I hung a tether ball from my mango tree to practice jumping to head the ball. My friends and I built a homemade soccer goal out of 2’X 4’boards. To improve my ball skills and touch, I juggled oranges off my orange tree. When the oranges broke open I washed them off and ate them. I learned early on how nutritious and invigorating oranges are. And of course, my parents got me a bench press to build my body. Besides training myself, I invited my friends over, who were interested in getting in shape and becoming better soccer players. This was my first experience as a personal trainer. The years of training paid off. In high school, I was selected first team All-County in both football and soccer. I was also awarded the honor of Miami Herald’s Soccer Player of the Year in Dade County. My dedication to soccer and decent grades in school also landed a soccer scholarship to college where I earned a Bachelor of Arts in psychology. Soccer was my passion, but entertaining the folks that came to the games also became important to me. I went on to play with the Fort Lauderdale Strikers on their reserve team. With the Strikers, I got the incredible opportunity to play with some of soccer’s international superstars. While still in high school, a good friend of mine was competing in bodybuilding. I was intrigued by the sport and the entertaining aspect of being a competitive bodybuilder. 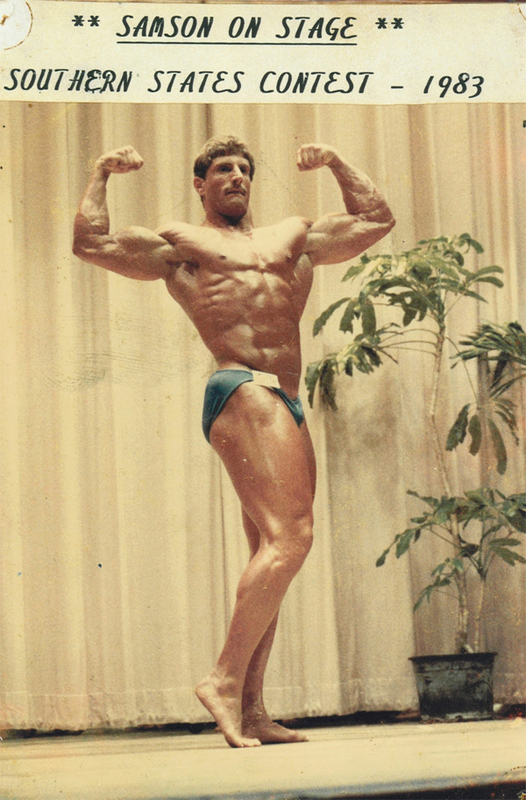 In the late 70’s, my interest shifted from soccer to competitive bodybuilding. At this time, my training venue changed from the soccer pitch to the gym. Although, soccer will always be in my blood, bodybuilding became my new passion. I began learning by watching and training with the biggest and shapeliest guys in the gym. Back then you were on your own unless you found a bodybuilder to train with. For the next few years, I absorbed all the knowledge I could through training, reading, and asking a lot of questions. I then started competing in bodybuilding. That journey took me all the way to the national level. This journey brought me around full circle. Now, I was the one sought after for training education and personal training. The members in the gym wanted to train with me. At this time, I began my personal training business and started to train clients. During this time, I was also developing another passion of mine. I love to entertain so I started taking acting classes. Soon after, I registered with talent agencies. They sent me on auditions. Getting an acting job was not easy. At least for me, it was not easy. I did not give up and eventually I landed small movie parts, music videos, and various television commercials. 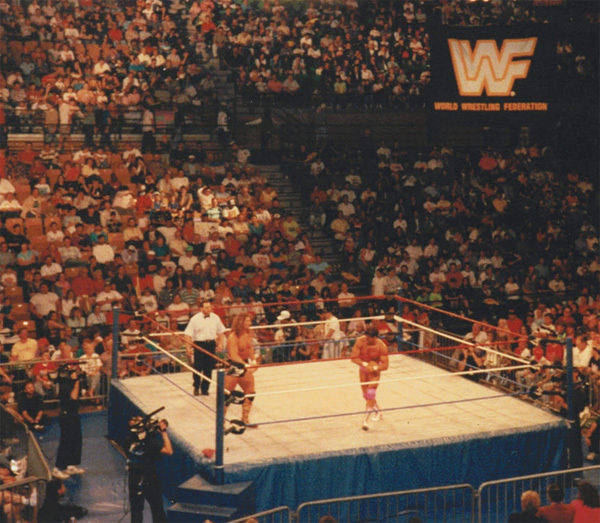 In the mid eighties, a group of friends talked me into going to my first pro wrestling show. I saw the wrestling business as a great fit for me. I loved the way pro wrestling combines entertainment, physique, and athletic ability. After seeing the show that night, I knew I had to pursue a career in professional wrestling. Step one was finding a pro wrestling training camp. I discovered that a guy, in the gym where I was training clients and myself, was going to a wrestling school in Tampa, Florida. It was THE GREAT MALENKO’S SCHOOL OF PROFESSIONAL WRESTLING. With no procrastination, I asked him about the school and if he would not mind if I went with him to try it out. After all, I did not truly know if it was for me. The first day at Malenko’s school is a trial workout. Malenko does whatever he can to discourage young strong promising wrestlers. He tries to get you to quit before you even get started. Well, he did a pretty darn good job on me. I thought it was going to be easy, a walk in the park. Come on, I was a 280lb in-shape bodybuilder. HA! HA! Most of Malenko’s wrestlers got their workout on me that day. Malenko allowed them to beat the you know what out of me. I can not tell you how many times I was slammed, suplexed, drop kicked, clothes lined, and hip tossed. I did not even know what those moves were called when they were doing them to me. Remember, it was my first day. What I can tell you, I could not straighten out my back for two days. This school was no joke, but I was definitely Malenko’s comic relief that day. I think Malenko got an ab workout from laughing at me so much. After Malenko was finished laughing at me, although, he was still kind of laughing when he asked, “ Are yougoing to return next weekend to register and begin training with me, to become a professional wrestler?” My answer to Malenko, all bent over with tears coming out of my eyes, I was in so much back pain, was, “absolutely, there is no way I am going to miss out on all this fun.” He about fell over, he started laughing so hard again. He was so sure he would not see me ever again. When I showed up the following weekend, I was still sore, but was not going to let Malenko see that, Malenko was shocked. He even asked, “What are you doing here?” My answer to him was, “to become a professional wrestler or die trying.” I put a big smile on Malenko’s face. He signed me up and took me under his wing. After eight months of commuting back and forth from Miami to Tampa doing rugged singles training on Saturdays and grueling tag team workouts on Sundays, I started my professional wrestling career. My family and friends were proud and excited for me. 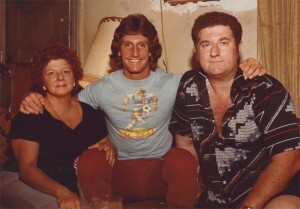 They knew how much dues I paid on tracks, fields, the gym (weight room), and in the squared circle (wrestling ring). Soon after, I became Robby Samson “THE POWER”. My tag team partner, my Tampa commuting buddy, got the name “THE FEAR”. We called ourselves, “THE MIAMI NEW BREED”. We wore pink and turquoise tights with matching arm bands, pink boots with turquoise trim, and we entered the ring with white Don Johnson (from Miami Vice) jackets with the sleeves cut off. I was climbing the ladder of fame, and definitely heading in a good direction. It was about a year after I started my new pro wrestling career. Something cataclysmic happened to me. It made the biggest impact in my life to that point. This event changed my thoughts, feelings, dreams, and my life forever. I received a phone call from my sister. She did not ask me if I was sitting down. She told me to sit down. I asked her, “What happened?” She then told me without hesitation, “Dad died.” We lost him in 1987. And as I write this story in 2010, I still get choked up because of my sadness. I dropped the phone and could not speak. I knew almost immediately that life for me changed forever. Sadness overwhelmed me, and I also felt extremely angry. Losing my Dad so young was a crushing blow to me. The anger exploded out of me. My Dad was a loving supportive Father, but that is not why his death made me angry. 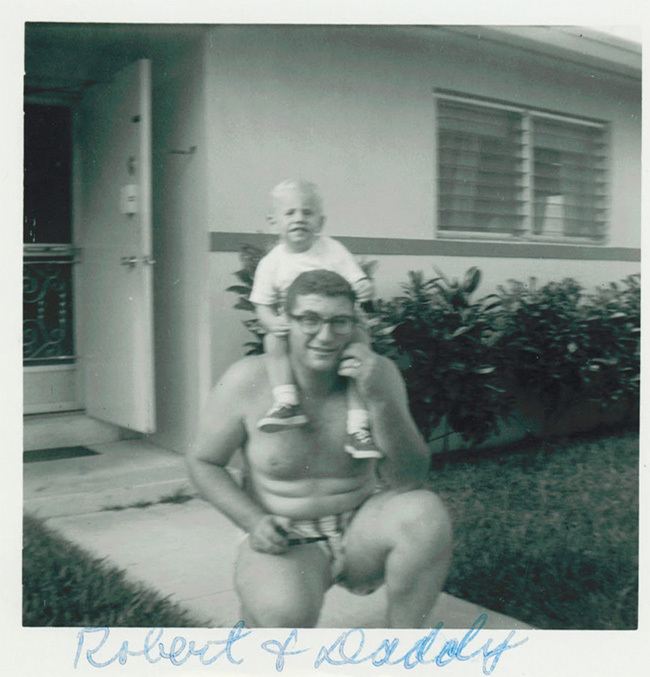 Years prior to my Dad’s passing, I was already training clients. For Dad’s birthday, I bought him a gym membership and offered to train him. 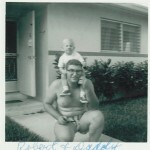 Dad was excessively over weight. Because of his obesity he developed diabetes. He lived a health not lifestyle of absolutely no exercise and eating whatever. 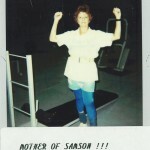 Unlike my Mom, who was very health conscious and exercised on a regular basis. Dad’s accounting profession added to his sedentary ways. I wanted to help him change his lifestyle and little did I know it probably could have saved his life. Unfortunately, Dad only trained with me three times before the excuses started to kick in. I remember him laughing during the workouts and saying things like, “This isn’t for me. It makes you sweat…HA! HA!” After those three workouts, he never let me train him again. We lost him a couple of years later, a massive heart attack, at 55 years YOUNG. Dad would only be 78 years YOUNG today. 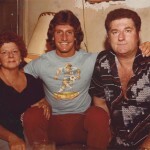 As days passed after Dad’s passing, my anger continued to grow. My whole existence was how to mend my broken heart and where to channel my anger. Pursuing my pro wrestling career did not seem to help me begin to let go of my anger. I could not stop thinking about how and what to do to help my inner pain subside. After many weeks of very deep thought, I knew what I had to do. I thought if I could touch other lives and help families avoid the pain, anger, and suffering I felt and feel from losing my Dad so young I might be able to heal myself. In 1987, the same year my Dad passed, I decided to follow my broken heart and open a gym. I knew I had the knowledge, experience, energy, motivation, and passion. I could share the tragedy of my Dad’s unhealthy lifestyle. The gym would give me the opportunity to spread the word of fitness, the notion of committing to be fit. Still in 1987, I formed my corporation for the gym. The name I gave it was Samson’s Ironhouse Gym. Little did I know, it would be a long journey to get the gym open. My first mission was obvious. I had to find a good location. There was a lot to consider in this first extremely important step. With a lot of patience, about one and a half years worth, I found a spot in Pembroke Park, Florida. It was right off of I-95 and Hallandale Beach Blvd. There was one small problem with this location. The building was not built yet. I made a good deal with the developer, but had to be patient again. It took almost six months to make it move in ready. The construction time gave me time to get the other important steps done. I ordered my equipment, which also took time to receive, and I started my pre-opening sales and promotions. I put everything I had into getting the gym open. 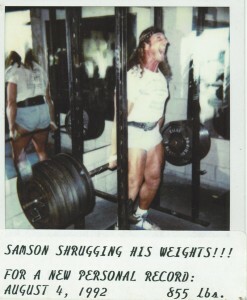 My desire and passion to get Samson’s Ironhouse Gym open was intense. I was told not to do it because I would lose my shirt. Refusing to listen to anything negative, I never considered the risk of failure and losing it all. Failure was not an option. What I did have to consider and welcome was all the sacrificing and hard work I was doing and will have to do to open the gym and make it successful. In my heart, I knew it would be successful even if just one family could avoid the anguish I suffered from losing my Dad. Patience is definitely a virtue. 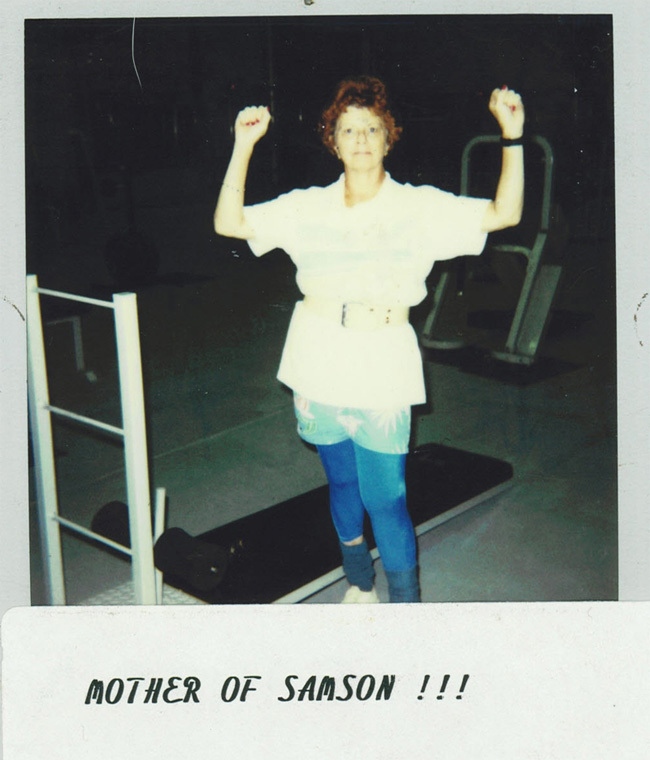 Finally, on May 8, 1989, after two long years since losing my Dad and starting the path to opening the gym, Samson’s Ironhouse Gym opened the doors to the public. Admittingly, I was very excited and scared. As I mentioned, I pulled the trigger putting everything I had into opening the gym. There was no looking back now. The first few months were brutal. Prospective members were not joining because the gym was so new. They felt leery wondering if the gym would make it. Also, opening a gym in south Florida going into the summer months was not the best business strategy. During the first few years, I juggled the gym responsibilities while continuing to pursue part time wrestling and acting jobs. In 1992, I hung up the wrestling boots. I wanted to dedicate my energy to the Ironhouse. At this time, starting a family also weighed heavy on my mind. Having juicy relationships were fun, but there always seemed to be something missing. I was having a difficult time finding true love which could stand the test of time. I was not sure if it even existed. Happily ever after??????????? I did strive to enjoy the little free time I had. Let’s face it; a man does not live by pumping iron alone. My two favorite hobbies both started with a “W”, picking up beautiful weights and picking up heavy women…. or maybe it was the other way around (HA!). Anyway….. , balance is the key. The Ironhouse was a one hour round trip from our home and I was putting many many hours in there. This left very little time for the family. 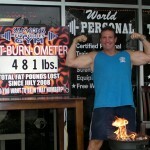 In July 2005, I sold Samson’s Ironhouse Gym and began pursuing another passion. I continued training clients while starting my new journey to become a certified Exceptional Student Education Teacher. I felt a burning desire to help and work with children with special needs and learning disabilities. Shortly after receiving my certification for exceptional student education, I landed a job with Broward County Schools. I began a very rewarding teaching career at Blanche Ely High School working with special needs children. I cherished teaching, guiding, and supporting my students. Teaching these children was an incredible learning experience for me as well. A lot of my students had severe learning disabilities, physical disabilities, poverty, no parents to come home to, and still found a way to be happy, live in a positive mode, and find a way to survive. Working with students that could stay up beat living in those conditions was inspirational. It helped build my character and made me a stronger person. I thank Broward County Schools for giving me that incredible teaching experience and opportunity. As I expressed, I loved my job teaching children with special needs, but I missed having a gym where I could make an impact on my client’s health and fitness. In 2008, I elected to do what it takes to open up “THE WORLD FAMOUS SAMSON’S FIT BODIES GYM”. This time around, the gym would be a by appointment only personal training gym. By appointment only would enable me to schedule in family time. Having patience again came into play. After five months of negotiating and a month and a half of build out, on July 1, 2008, I opened “THE WORLD FAMOUS SAMSON’S FIT BODIES GYM. 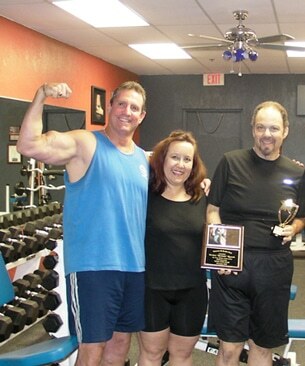 Not long after I opened, I discovered that besides utilizing my credentials as a certified personal trainer with over 30 years experience, to train general public clients, I could also utilize my credentials and experience as a certified exceptional student education teacher and train children with special needs. Although, in the beginning it was not planned, I am now combining my two passions, personal training and teaching children with special needs, into my personal training world. 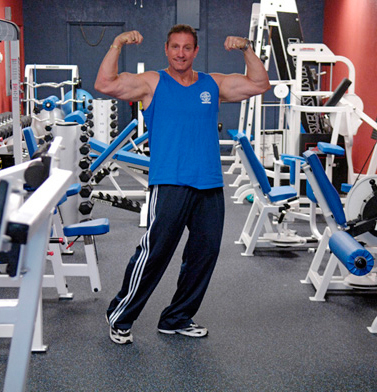 To open the new personal training gym, I had to leave the Broward County School System. I did not have to leave the world of children with special needs. I offer customized programs for all ages and fitness levels including children and adults with special needs. I strived to create a comfortable, warm, cozy, ultimate family atmosphere. I allow my clients to judge if I hit the bull’s eye. Thank you for taking the time to read my personal training story. Have a FIT-TAS-TIC day and Commit To Be Fit!